DTSV delivers specialized, best-practice-oriented help desk services and service desk management and operations. Our proactive approach and real-time monitoring ensures high-quality and effective services and reduces costs, while our prompt and reliable service allows our customers to devote their time and resources to their core business objectives. 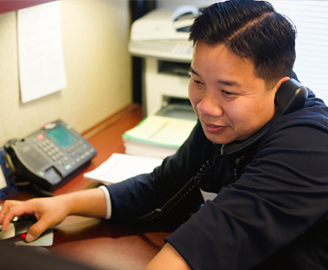 As a member of the Help Desk Institute, we implement processes that are ISO 9000:2008 compliant, SEI/CMM, and SCP to provide our customers with the best available services. We have the capability and experience to handle thousands of calls per month and take ownership of each project we perform, aligning our services with the client's needs and expectations.